If someone can tell us what to do to create a good ambience, it would be Maxime Rokus. Maxime is a fantastic graphic designer who loves photography, which means she knows what aesthetics are and how you should emphasize this. 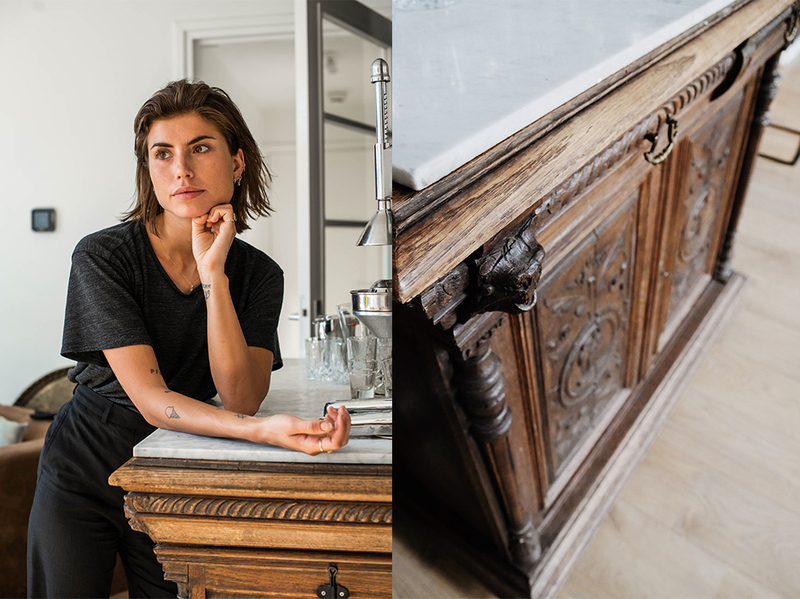 In this article, she takes us on a tour through her own house. The apartment where my boyfriend and I live in is our first home together. Like most young people in their twenties in Amsterdam, we first both lived in a small room in a house where the living room was shared. Shortly after I met my boyfriend, that changed to one night at his house together and the other night at mine. Over time, I have learned that boys share their living rooms differently from how girls do. Note: dirty dishes on the counter and crumbs on the couch, which quickly changed our living situation to spending most of the time at my room. Because both our prior rooms did not have a lot of space, we did not have much stuff to take with us to the new house. Therefore, the things we did take with us were even more important for the ambience of our house. My boyfriend had, among other things, black lacquered chairs that contrasted nicely with the wooden floor. I brought a black steel rack with shelves. The first purchase we did was quite impulsive. In an antique shop, we bumped into a large antique dresser with drawers. On a marketplace we found a marble top that would fit perfectly. 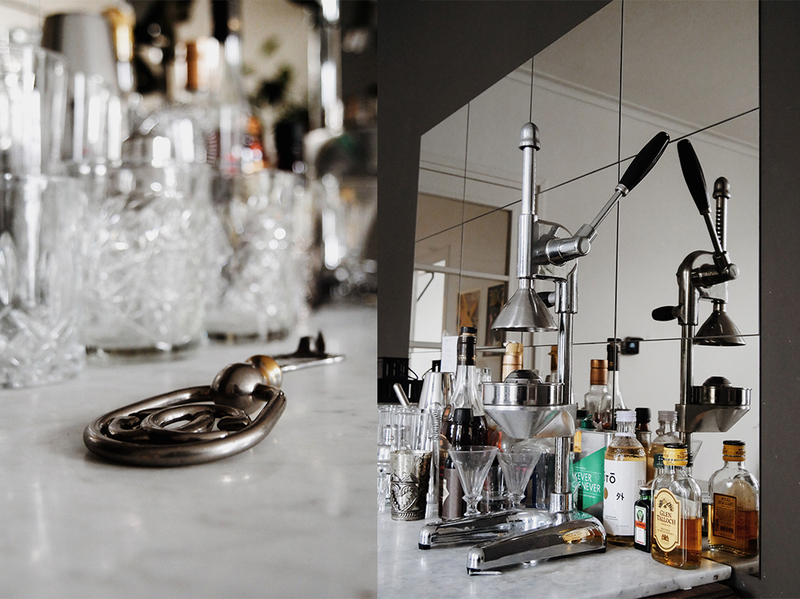 Together they form the centrepiece of our living room: the bar. After we have put a mirror above the bar and painted the wall dark as a framework, the style of our new home was determined. Our interior is characterized by the combination of old and new, the sleek black with the light wood. It is always a challenge to find things for our home that are a valuable addition to our interior within this style. The Raeam side table from Kave Home is one for sure. 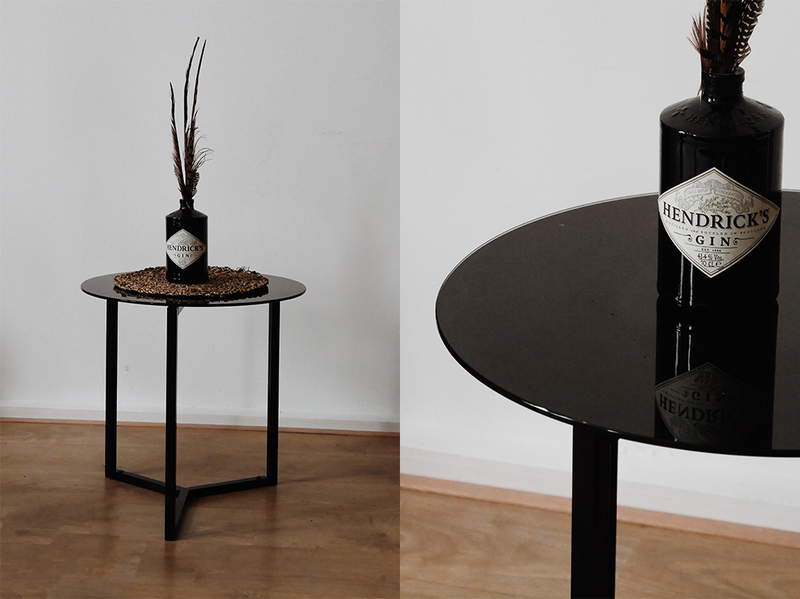 Because of the sleek black look of this side table, it fits perfectly with the black tones in our house. On the table we have put a basket, which completes the combination. 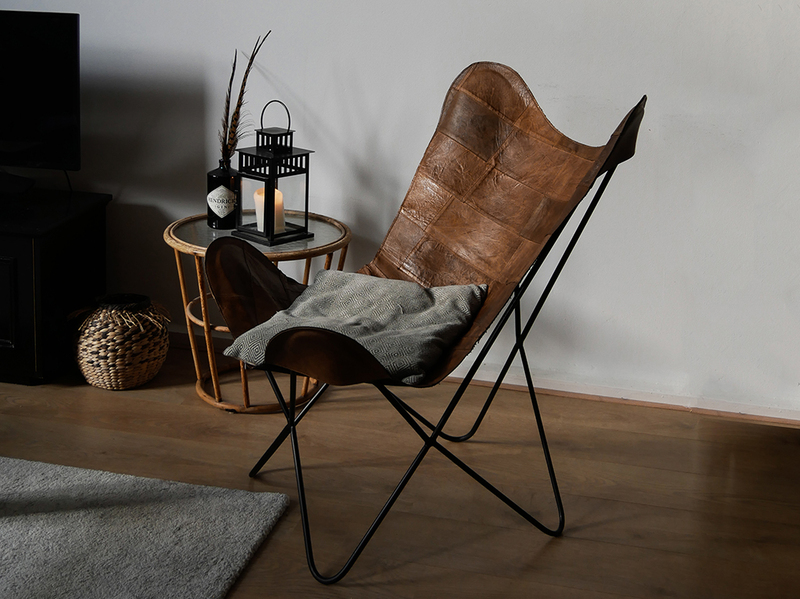 In front of our bar, we have put the brown Fly butterfly chair from Kave Home. This incredibly comfortable leather chair marks the transition between the bar area and the living room part of our room. The dark leather of the chair fits beautifully with the dark wood of the sideboard with drawers. The legs of the chair are, if it could not be any better, made of black steel. Next to the chair and the side table, we have purchased more products from Kave Home, as you can read in my previous article. We also recently replaced the lamp next to the bar with the Bert floor lamp from Kave Home. When I scroll through the website from my new chair, I want to replace everything actually. Everything except for the bar, which has earned its place.